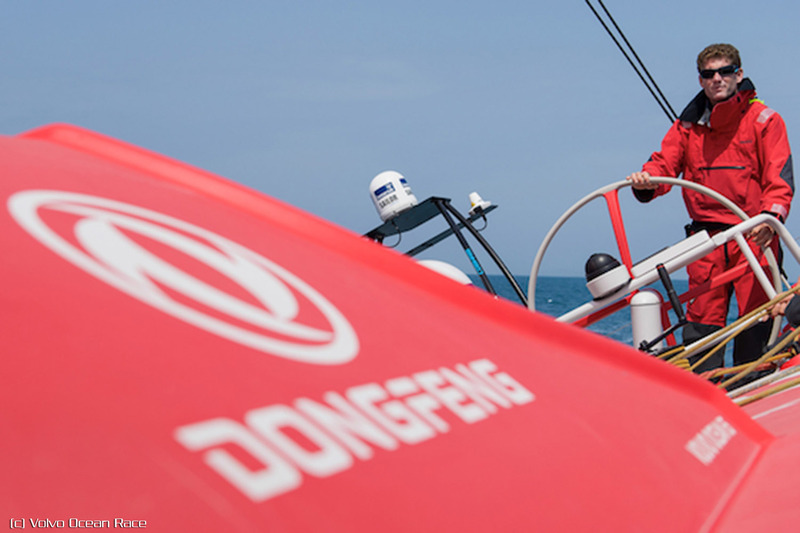 Dongfeng Race Team (Charles Caudrelier/FRA) continued to hold the edge in Leg 3 of the Volvo Ocean Race on Tuesday (January 10, 2015)with the rest of the fleet bunched up behind and waiting for the opportunity to pounce. At 0940 UTC on Tuesday, Dongfeng Race Team led by 29.4 nautical miles (nm) from Team Brunel (Bouwe Bekking/NED) with Abu Dhabi Ocean Racing (Ian Walker/GBR) hot on their heels 3.5nm further adrift. The trio started Leg 3 from Abu Dhabi locked together on four points, but the 4,670nm stage to the southernmost point of China is still anyone’s to win with around 2,500nm left for the fleet to sail. The six-strong fleet – depleted of Team Vestas Wind (Chris Nicholson/AUS) – is expected to reach its destination around January 25-26 depending on weather conditions but first has to navigate through the Malacca Strait. The 500nm stretch, dividing the Indonesian island of Sumatra and Malaysia, is one of the busiest shipping lanes in the world and narrows to 1.5nm at one point. That bottleneck could well allow the chasing boats to catch Dongfeng Race Team – if they are still ahead at this point. That, however, lies in the future – the fleet is expected to arrive in the Strait by the weekend – and for now it is making good progress through the Bay of Bengal after passing Sri Lanka. Polluted waters continue to threaten their advance. Bekking summed up in a blog: “There was so much plastic in the water that I started counting in several intervals of 10 minutes for a duration of four hours, the amount of plastic I could see floating by.